Accolades for the Volvo XC40 don’t come much bigger than this – it’s our 2018 Car of the Year. Yes, this family SUV won not only its category at our annual awards, beating other price-point winners, the Seat Ateca and Skoda Karoq. It also triumphed among our 20 other category winners to take our top prize. And so it should, because the XC40 is one of the best cars you can buy right now. We recommend teaming the frugal D4 diesel engine with sporty R-Design specification, which gets you plenty of kit as standard, including sports seats, privacy glass and multicoloured ambient lighting. 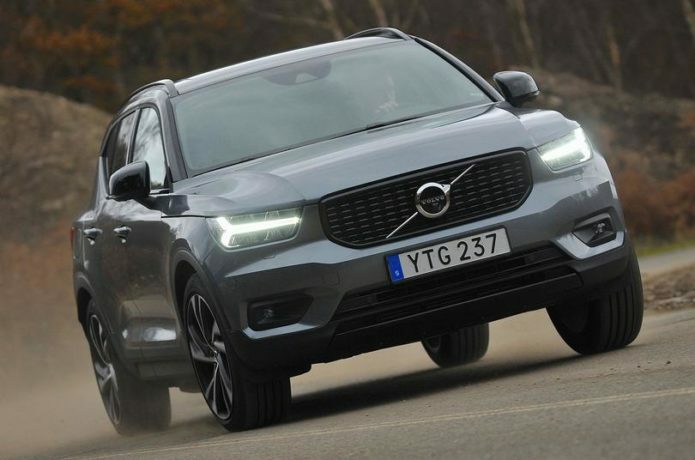 Our full 16-point review can tell you why we think the XC40 is a top choice for any new car buyer and also why it triumphs over key rivals including the BMW X1 and Volkswagen Tiguan. Meanwhile, this guide is dedicated to helping you navigate Volvo’s extensive options list. Volvo’s Xenium package is geared towards making your life easier and includes a parking camera that provides a 360deg view of your surroundings. Don’t want to park yourself? No problem, because the pack also includes a self-parking system. You also get a panoramic sunroof, so you can let the sun in during the summer. The Convenience pack represents great value, given that it gets you a flexible boot floor so you can divide the boot into sections, an additional 12V power socket, a load protection net and a separate storage area under the driver’s seat. This pack also brings powered rear seats, so you can drop the backrests at the touch of a button if you’re in need of more space. Volvos are already some of the safest cars around, but the Intellisafe Pro package adds even more driver assistance technology, including Volvo’s Pilot Assist semi-autonomous driving system. In conjunction with adaptive cruise control, this can help to make long motorway journeys far easier. You also get a blindspot warning system, auto-folding door mirrors and a cross traffic alert. This is an excellent choice if you regularly do a lot of shopping. Not only does it allow you to lock and unlock the car without holding the key, but you can also open and close the boot by waving your foot under the rear bumper. We like Volvo’s own Sensus infotainment system, but plenty of drivers will want to control their phones in the car using Apple CarPlay and Android Auto. To do that, you’ll need to spend £300 on this upgrade, which also gets you two extra USB ports. Oh yes, it’s metallic paint again. You see, we consistently recommend you upgrade your car’s paintwork because it will be much easier to sell once you’re finished with it. In Volvo’s case, there are eight colours to choose from, but if you opt for our recommended R-Design models, that selection is whittled down to three. As standard, our favourite R-Design models come with 18in alloy wheels, which you can upgrade to 21in ones for £1950. It’s an expensive choice that will also affect the car’s comfortable ride, especially around town.